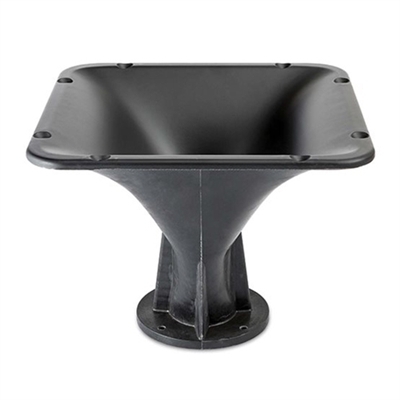 Mechanical: aluminum horns do not require any support for the compression driver (likes brackets), and at the same time eliminate the problem of horn resonance with optimum waterfall and impulse system behavior. The XR2064C horn maintains nominal 60 degree Horizontal x 40 degree Vertical pattern control. It provides consistent on-axis and off-axis frequency response from 1.2kHz to 16kHz in both horizontal and vertical planes. Horn directivity is constant down to 1.2kHz.